>> Moon phase Earring. Minimal hoops Earrings. Minimalist Earrings. Round hoop earring. Gift for her. 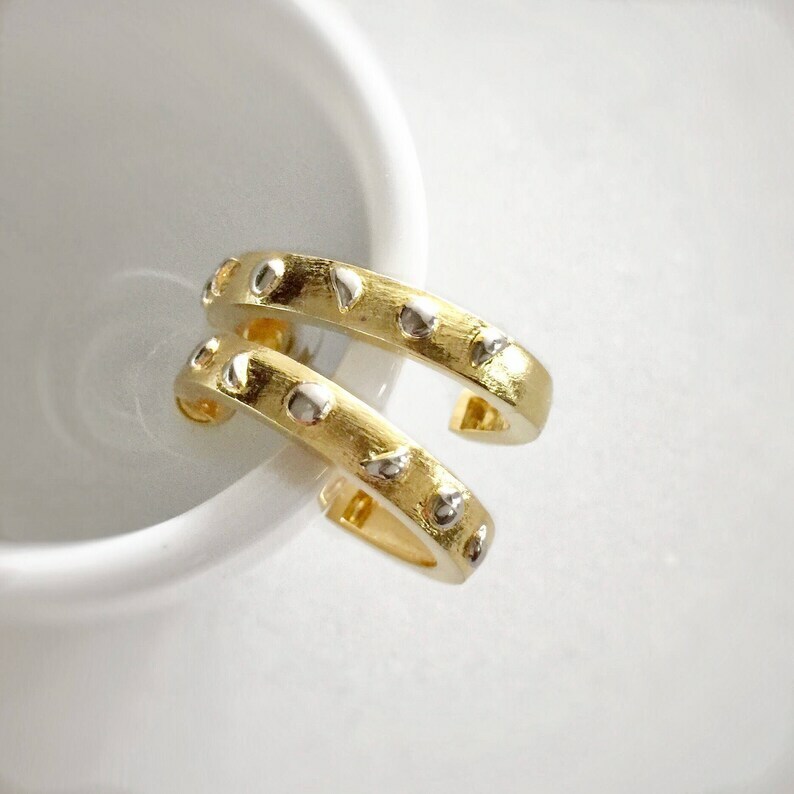 Gold hoop earrings. Gift for women. Hoop earrings. 14k gold overlay. FREE shipping in the US. >> A stunning pair of hoop earrings, inspired by dew drops, hand crafted earrings make a real statement! Chunky, bold and beautiful they would be perfect for everyday wear or special occasions. Even makes for the perfect gift for a special someone in your life, whether it be your mother, significant other, or best friend. -Classic hoop earring, with a touch of class.